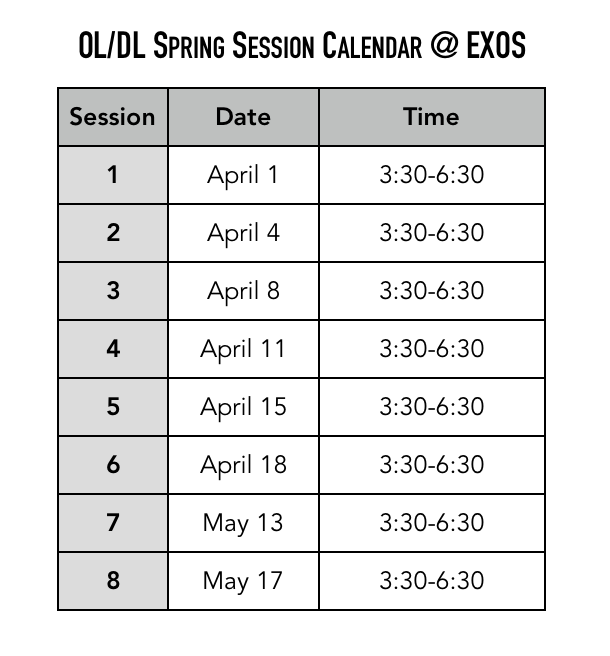 Tip of the Spear & EXOS are offering High School (Varsity) Linemen a chance to train with the BEST this Spring. Each workout features 90 minutes of Performance Training, led by EXOS, followed by 90 minutes of Position Specific Technique work with Tip of the Spear Founder Scott Peters. EXOS has trained over 759 NFL Draft Picks in their Pre-Combine program, far and away the most by any Performance Training Company. Tip of the Spear is the number one Technique Consultant in Football, with more than 12 NFL teams & 25 Major D1 Football Programs as Clients. Players learn how to care for their bodies with top recovery & regeneration techniques so they can train & compete at optimal levels longer than the competition, which is critical for world class athletes. 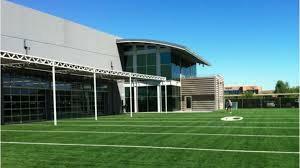 is considered by some of the NFL & NCAA’s most respected line coaches to be the top technique expert in the world. 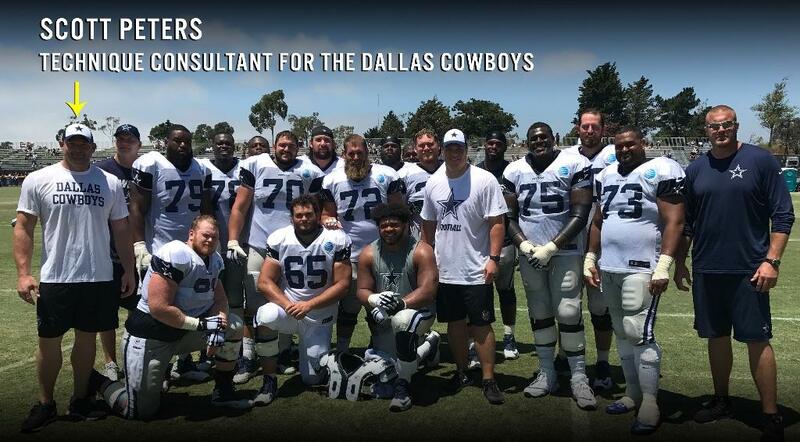 A 7 year NFL veteran, expert in marital arts and world champion grappler, Peters has contracted with 10 NFL teams, & 14 major college football programs. In 2012, he launched “Safe Football,” an instructional program to remove the head from contact. Since then, over 450 High School coaching staffs have been trained and certified, and the results for injury prevention are just as impressive as the performance benefits experienced by players and teams. Despite his work at the upper ranks of football, Scotts true passion is teaching young linemen to be achieve their best using superior yet little known techniques used by the NFL's elite. Coach Clanton is regarded as one of the best Defensive Line experts in the game of Football. A former standout Defensive Tackle for the Nebraska Cornhuskers, Jon Clanton studied and refined his pass rush skills under Jim Washburn as a player with the Tennessee Titans. Following his playing career, Jon developed some of the top pass rush techniques used in the NFL & in major College Football. Like Coach Peters, Jon Clanton is passionate about teaching players at the High School level the most advanced techniques in the game.